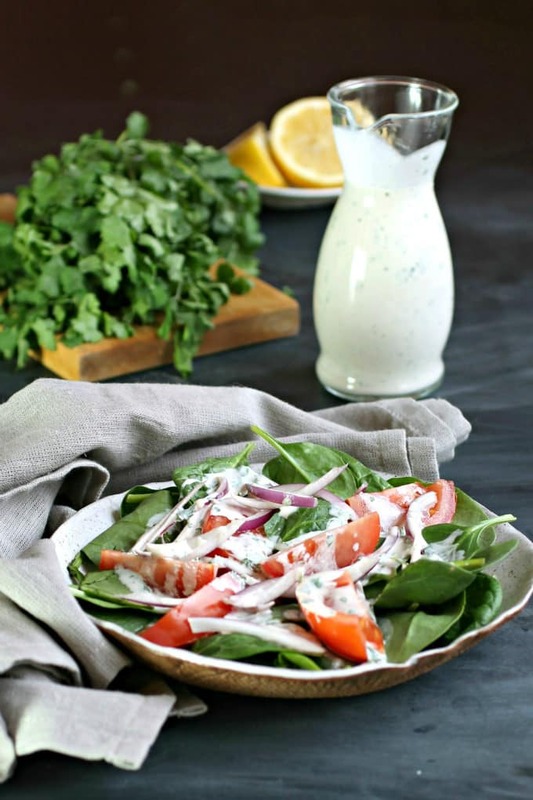 Add some Middle Eastern flair with a tahini and cilantro salad dressing. Bonus points because it’s super easy to whip up. 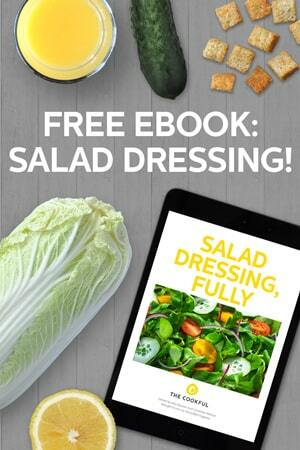 Our Salad Dressing topic is brought to you by Stonyfield Organic. Let’s face it, most of us eat salad to get the dressing, right? But that leaves the question of what kind of dressing you want. Are you a light oil and vinegar lover or are creamy dressings more your style? If thick and creamy is your thing, you should try making your dressings with a tahini base. Tahini is a Middle Eastern sauce made from sesame paste (think nut butters) that can be found in the international section of most grocery stores. Sometimes you can buy it already prepared, but making your own is easy and allows for much more customization. A classic tahini sauce is made with equal parts sesame paste and water, with the addition of garlic, lemon juice and salt to taste. 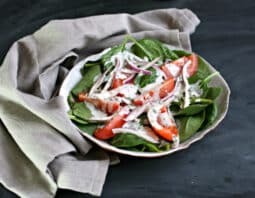 But adding Greek-style yogurt gives it a wonderful creamy texture and it pairs well with a large variety of spices and herbs. Cilantro is as popular in Middle Eastern cuisine, so it goes well with tahini. And I love the fresh, herby taste and smell it adds to fresh vegetables. 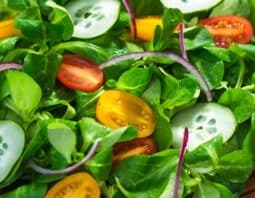 Serve this on your favorite salad and add some grilled chicken to make it more of a hearty lunch. Add the Greek yogurt, sesame paste, water, lemon juice and garlic to a small food processor and puree until smooth.